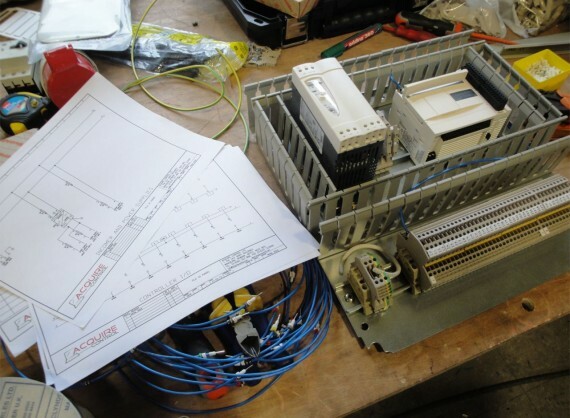 We manufacture bespoke PLC Control Panels, allowing us to provide complete Control Systems whatever your project. 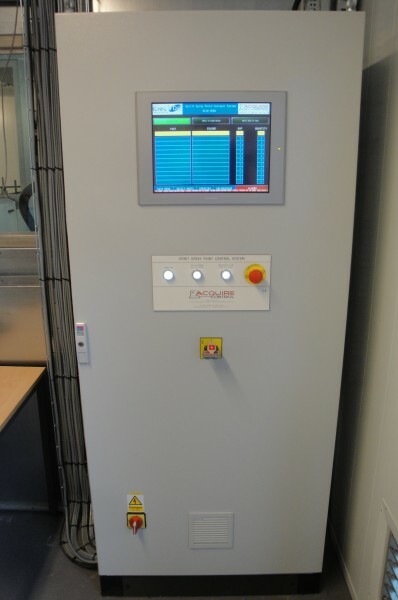 The PLC Control Panels that we supply are professionally designed by us and manufactured to the highest standards, each one being tailored around you and your application. 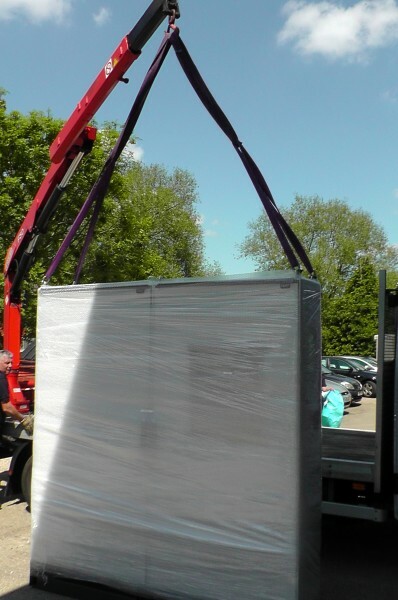 They are typically wall or machine mountable, however we’ve also supplied floor standing cabinets for larger projects and specialist applications. All of our panels are manufactured using high quality components, to the latest standards and come with a full set of electrical schematics in both .pdf and print format. However we are completely flexible in the supply of our PLC Control Panels and ensure that your panel is built to your exact specification using any components that you have a particular preference to. We also provide a full electrical installation service as well as PLC and HMI software design and full system commissioning – allowing complete PLC Control Systems to be up and running as quickly as possible to your exact requirements. We’re not just ‘box builders’ or large and impersonal system integrators, and nor do we want to be as the friendly, personal and tailored service that we’re able to provide is something we’re keen to hold on to – and is something we know our customers really appreciate. 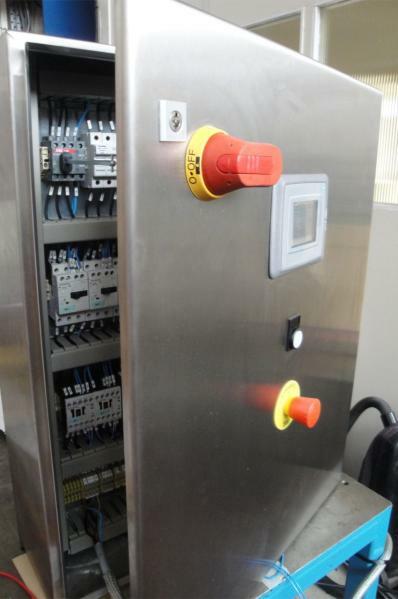 We've supplied many Control Panels over the years, here's one we supplied to a UK Manufacturer. The great value to our customers with the service that we provide is in the design elements required to successfully bring such projects to life. Often companies don’t look hard enough at the bigger picture of how the project ultimately has to work and the functionality that’s required. That’s why the service that we offer ensures your project will be realised at the first time of asking and to your exact specification. Also we believe that on many bespoke projects the functionality and software capabilities of the system are ultimately what determines your projects success or failure. That’s why our experience to look ahead and develop projects based around your long term goals, whilst fully understanding what is actually achievable has proven to be of massive help to all our customers. And of course we always look at several solutions to ensure we strike the best balance between functionality and cost effectiveness. If you’re looking for a complete controls solution including a PLC Control Panel then please contact us today for some friendly advice and a free quote or cost estimate.